The No. 10 Salisbury University men’s lacrosse team played its final regular-season home game Wednesday night in a CAC matchup against York College of Pennsylvania, taking a 19-6 victory at Sea Gull Stadium clinching the No.1 seed in the CAC tournament. Sophomore Carson Kalama scored the first three goals of the game for the Sea Gulls all within the first five minutes f play, starting a dominant first half for the Sea Gulls. Kalama’s first goal came 2:02 into the game where he picked up a ground ball off of a save to get a quick 1-0 lead. Kalama’s second came on a pass from sophomore Nathan Blondino, before Andrew Ternahan found Kalama on the crease for a man up score 16 seconds later. Kalama finished the game with a team leading six goals, and leads the Salisbury offense in scoring. After junior Thomas Cirillo scored his first goal of the night, Ternahan found Kalama again for a quick score to give Salisbury a 5-0 lead with 7:55 left in the first quarter. Senior Kyle Goss and junior James Burton each added a goal, while Thomas Cirillo added his second to give Salisbury an 8-0 lead at the end of the first quarter. The Salisbury offense showed no signs of slowing down, scoring seven more goals in the first five minutes of the second quarter. Senior Mike Kane had assists on the first three goals of the period to Cirillo, Kalama, and Blondino. Sean Fitzgerald, Kalama, and Cirillo all scored unassisted goals to take a 15-0 lead with 10:20 left in the second quarter. Burton scored his second goal of the night, followed by junior Christian Ottenritter who closed out the scoring of the first half to take a 17-0 lead into halftime. The Salisbury defense played equally as well as the offense shutting out York in the first half. Salisbury out shot York 28-5 in the first half, and also in ground balls 26-9. Salisbury also won 15-19 face-offs. Sophomore Chris Joyce scored for the Sea Gulls just 18 seconds into the second half. The final goal for Salisbury was scored by Daniel Long to give Salisbury a 19-0 lead with 7:32 left in the third quarter. York added six goals in the final quarter and a half, but it was too little to late as Salisbury already held an insurmountable lead. Goalkeeper Connor Anderson kept York from scoring, while recording two saves, and got his tenth win of the season. 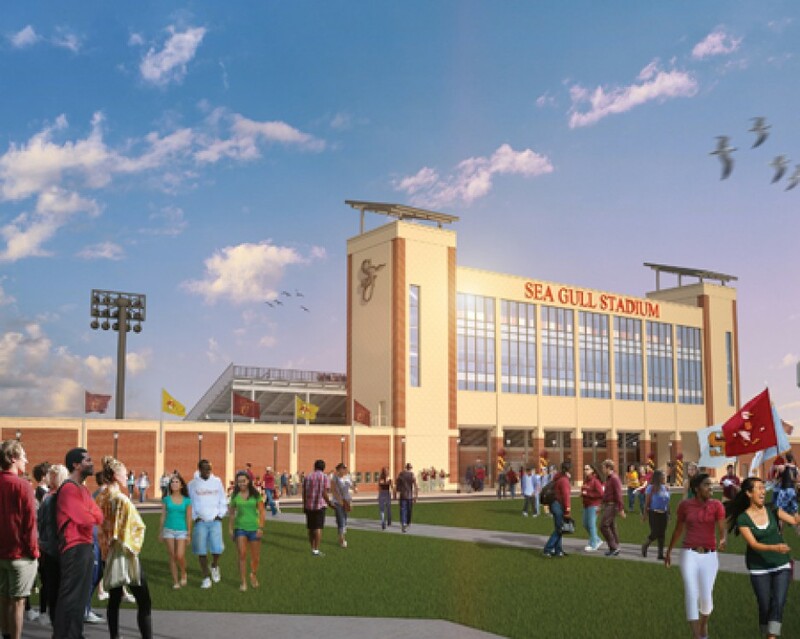 The Sea Gulls travel to Washington College (Md.) on Saturday for the annual War on the Shore game for the Charles B. Clark Cup.